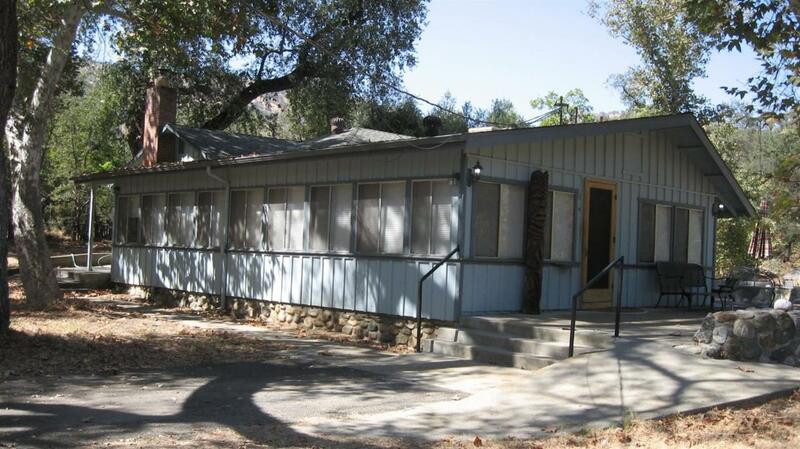 Amazing oaks and sycamores shade a classic three bedroom, two bath home along the North Fork of the Kaweah. Lovely river rockwork lines the inviting patio. Detached studio apartment with screened porch. Three car garage and workshop for projects. Mankin Creek flows by the patio in the spring. Open meadow behind the home connects to the river. Commanding space for your imagination. Listing provided courtesy of Susan Darsey of Affairs Real Estate.